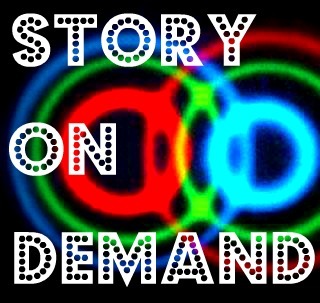 Story on Demand: A humble plea. I’ve had a great time doing these every weekend — you guys are nefarious idea-mancers, flinging white-hot bolts of creative inspiration at me, which I’ve done a yeoman’s job lobbing back over the net. This week, could I humbly request — well, something a little more vague? The past few weeks people have given me extremely specific prompts, and I’ve had to sort of push it around my plate with a fork for a while. So, I think what I’m asking for is for you to give me an idea — not a plot. Make with the vague! Forgive the presumption! FORGIVE IT, OR THE WEASELS. Drop your lovely ideas in the comments, and I’ll churn out a story for the shiniest. Next Post Just another Sunday night. Ha! Not quite yet, I’m going to be away from the internet through Sunday, and I’ll pick the winner when I get back. YESSSSS. THE POWER , IT FILLS ME. Hmmmm….vague….I can do vague. A man walks into a pharmacy with a revolver, not a 9mm, dressed as a cowboy. He then starts shooting up the place because it is actually run by a family of were-bears and they have been poisoning the good peoples’ drugs and stealing virgins on the weekends. I’m thinking the were-bears also love Chinese Food.